by health and beauty expert Brigitte Evans of High Style Life. Edits & additions by Jeff Campbell who spent 20+ years working for Whole Foods Market. 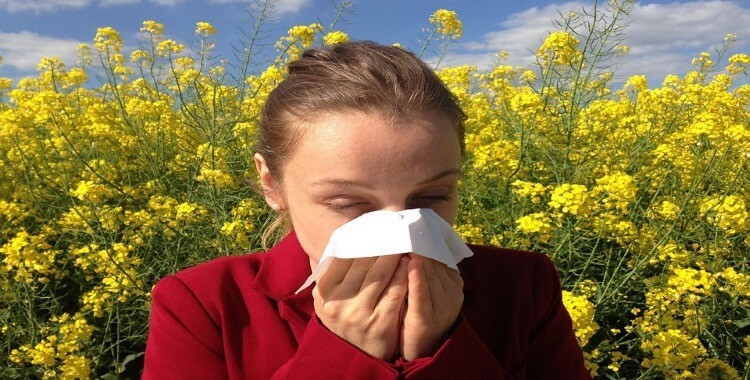 Wondering how to cure allergies naturally? Do you sometimes feel that nature has conspired against you? How often do you find yourself in a sneezing fit when everyone else is calmly enjoying their cup of coffee? Or you cannot bear to spend a moment in nature without a box of tissues? Some people truly struggle with their allergies. And with so many different causes, it’s impossible to narrow down your solutions to a single one that fits us all. But with some lifestyle adjustments, you can learn how to cure allergies naturally. At the very least, these preventative measures may significantly reduce your immune system’s response to various allergens. Is there a way to permanently cure allergies? According to most doctors, the answer is unfortunately no. They will likely tell you to seek allergy shots or take medication on an ongoing basis. That being said there is an alternative treatment called Nambudripad’s Allergy Elimination Technique which claims to be able to cure allergies. It’s important to point out, however, that I don’t believe any medical evidence exists to support that claim. But the National Institutes of Health did conduct a recent study on food allergies and the impact that Dr. Devi Nambudripad’s techniques had on them. So what are the . . .
13 Proven Ways of How to Cure Allergies Naturally You’ll Love? Let’s take a look at some of the most annoying and common symptoms and how to cure allergies naturally. Most importantly, we’ll do it without overburdening your body with chemicals. We all have our stress triggers. Those segments of our lives that are most affected by negative emotions. These tend to build up and become a chronic issue. But when we let our negativity fester, it’s impossible for our immune system to function optimally when flooded with cortisol. Cortisol is a hormone that gets released into our body under stress. A recent study by Dartmouth University shows just how damaging cortisol and stress can be to our immune system. A compromised immune system wreaks havoc on our already aggravated allergies. Arm yourself with patience, because this will not show results immediately. But it will make a huge difference in the long-run. Meditation has shown great results. Regular physical activity, ditching those vices such as smoking and alcohol, can also improve your life and stress tolerance. What about getting a furry companion? Cuddling with a cat or dog balances your hormones; but only if you’re not allergic to pet dander. In that case, you might want to stick to yoga and spending time in nature – that as well has a profound impact on your well-being. The rule of thumb is that we need to wash our sheets every week. But if your immune system is extra sensitive, and your home has been exposed to higher amounts of allergy triggers, then don’t wait those seven days; sooner is better. 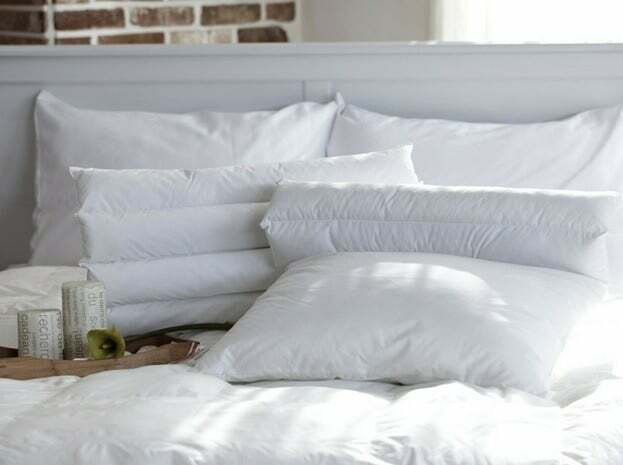 Consider using dust-mite resistant pillowcases and mattress covers, to reduce your exposure as much as possible. Also, to further allergy-proof your bedroom, avoid using heavy rugs and curtains in its décor. These items tend to attract dust and get very dirty very quickly. As for your mattress, make sure it’s cleaned regularly. Also, do your best to expose your room, the clothes you sleep in and your bedding to direct sunlight as much as possible. Regular vacuuming, dusting and fresh air will also help you sleep better and reduce those pesky symptoms. Make sure you are sleeping on the best mattress. Bear Mattress has been named the “Best Mattress for Athletes” by Sports Illustrated, Business Insider rated it the “Best Mattress for Back Pain” and Esquire named it the “Best Mattress for Hot Sleepers”. Come see what the fuss is all about. 100-night sleep trial – if you don’t love it, they’ll come to pick it up for a full refund. Great prices all year, but they often have jaw-dropping sales throughout the year too. Check out all the options at Bear Mattress. 3. Indoor air filters to the rescue! The outdoor air is riddled with toxins and pollutants. This is especially true if you live in an urban area, and are surrounded by heavy traffic. Simply airing your home won’t do you much good if you’re just letting in more allergens. With all the fresh oxygen come the airborne irritants, and you need a system to cleanse your indoor air properly. To that end, choose the best air purifier for allergies that uses high-quality HEPA filters that will remove all the pollutants, and quietly so, in order not to disrupt your sleep. You can also introduce various houseplants that are known to increase oxygen levels and reduce indoor pollution. Some low-maintenance plants such as Spider Plant, Fern or Peace Lily will not only make your home look more serene, but also aid in how to cure allergies naturally. 4. Dietary changes may bring relief! Certain foods can exasperate your allergic reactions, so it’s wise to take a look at your diet. You can also take a test to determine which foods you’re most sensitive too (if not even allergic). But some common munchies tend to increase inflammation no matter your tolerance to them. For instance, highly processed foods, sugar, caffeine, tobacco, many dairy products and soy are highly inflammatory. 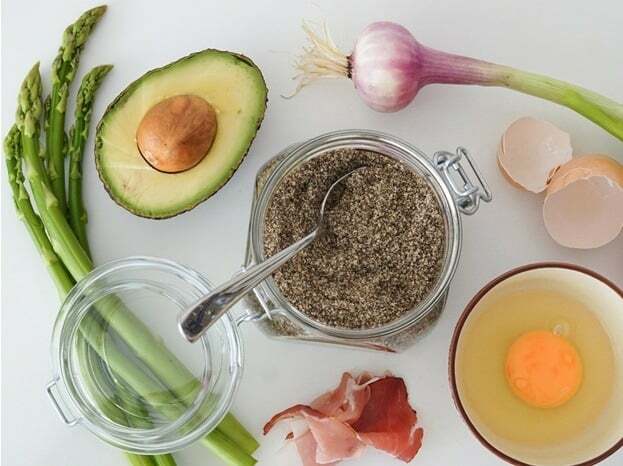 You can also enjoy probiotic-packed goods, including kefir and kombucha, and include plenty of fresh veggies, especially leafy greens, and lean protein sources. Learning how to cure allergies naturally has to include at least some minor dietary changes. Some raw foods and supplements are particularly helpful when it comes to preventing severe allergic reactions. They help with sneezing, coughing, and they can even help reduce allergy-induced asthma. Nettle leaves are incredibly potent when it comes to regulating your allergies, so drinking nettle tea on a daily basis is recommended. In moderation, some spices can thin your mucus and thus help you get rid of it more easily, without clogging your airways every time. 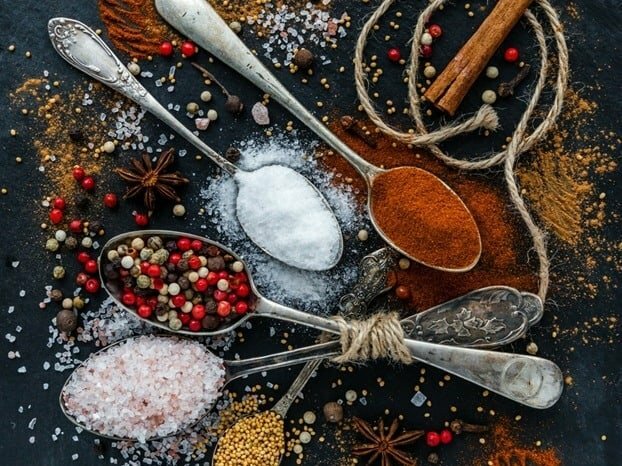 Ginger, cayenne pepper and garlic are amazing immune system boosters, while cinnamon is another tasty spice you can add to your meals to reduce symptoms. If you’re afraid of needles, this will be a two-in-one solution for your troubles! 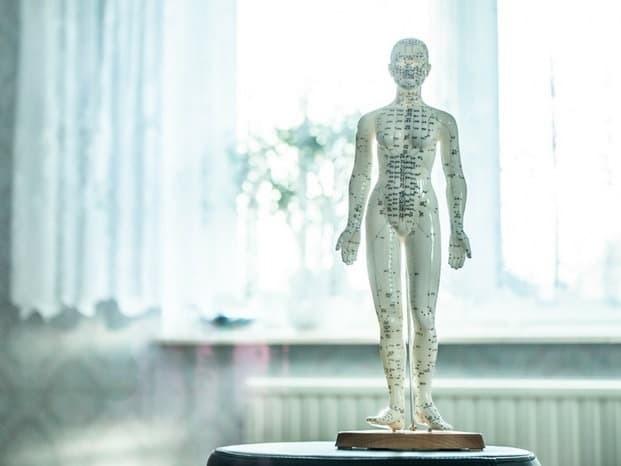 Acupuncture has an amazing potential to both reduce stress, balance your hormones and aid in reducing allergic reactions over time. And no, it’s not painful at all! It’s a great addition to all the how to cure allergies naturally tips! Acupuncture uses needles to target specific points in your body. The needles penetrate just below the skin, and acupuncture is already being used as a treatment for many types of chronic pain. According to a recent study by the Annals of Internal Medicine, “Acupuncture led to statistically significant improvements” in treating treat seasonal allergic rhinitis (seasonal allergies). All major cities likely have many choices for providers in your area. And many will be covered by health insurance. Check with your insurance provider regarding coverage and network compatibility. But even if you just pay out of pocket, the relief can be worth its weight in gold. Need help finding a practitioner? 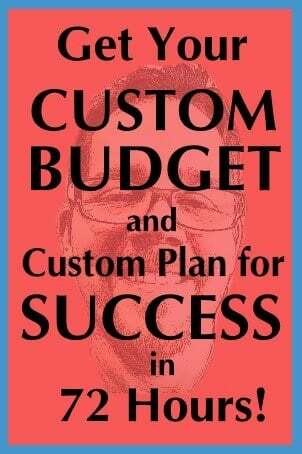 Simple consult the Directory from NCCAOM. 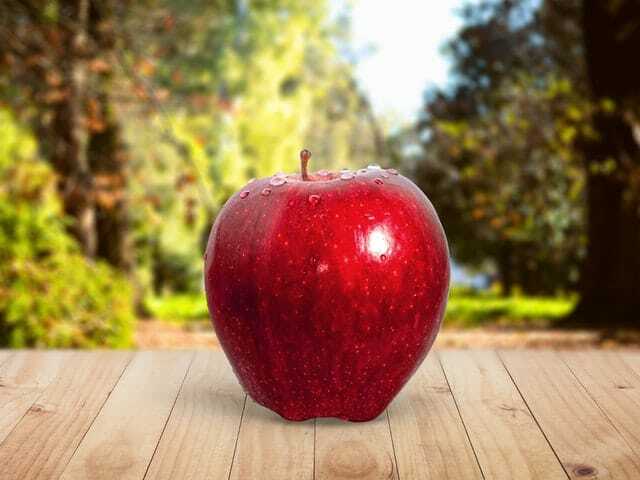 Many people swear by apple cider vinegar for all kinds of ailments. To be effective look for Bragg’s Organic Raw & Unfiltered Apple Cider Vinegar. You can take a swig every morning, gargle with it or just use as a salad dressing for a more palatable use. Do you know ACV can also help to reduce Vaginal Itching and Burning? ACV is also great as a base for what is called Master Tonic. Master Tonic is essentially a fermented tonic elixir often brewed in conjunction with fresh ginger, turmeric, and other healthful vegetables and herbs. My personal favorite is True Tonic by D Chi Kitchens. They’re local to me (Jeff) in the Austin, TX area but you can order online as well. I (Jeff) swear by my neti pot. There are many times throughout the year where I just use it preventatively each morning. But when my allergies are under attack, it’s not uncommon for me to use it twice a day. There are some fancy battery powered ones, but for me, I like the simplicity of the basic Ceramic Neti Pot. If you aren’t familiar with nettie pots, you pour warm water into your nettie combined with Sea Salt and mix. You turn your head sideways over a sink and gently pour into the top nostril. The water and salt solution goes through your sinuses and back out the other nostril providing instant sinus relief! Personally I boil my water first to ensure it’s pure and then let it cool enough to go through my passages. But you could also buy distilled water too. I would personally not just use tap water due to possible bacterial concerns and the delicate nature of the sinus passages. 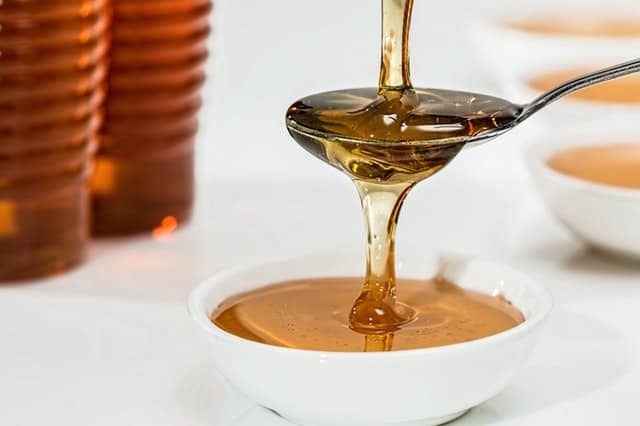 Instead of sugar or damaging artificial sweeteners, you can increase your intake of locally produced honey. This is rich in pollen in local honey comes from your surrounding air. Thus it acts as a natural vaccine; building up your resilience to the specific allergens in your area. Not sure where to find local honey? Your local Whole Foods Market, health food stores or farmers markets should have lots of options. Spirulina, the protein-rich algae is an amazing supplement you can use in your smoothies, or take it in pill form. Even the US Government agrees! A recent study by the National Institutes of Health found that “a high prevalence of herbal treatment usage for the relief of allergic rhinitis symptoms”. In addition being an important part of learning how to cure allergies naturally, other studies have shown possible benefits in proper blood sugar management. 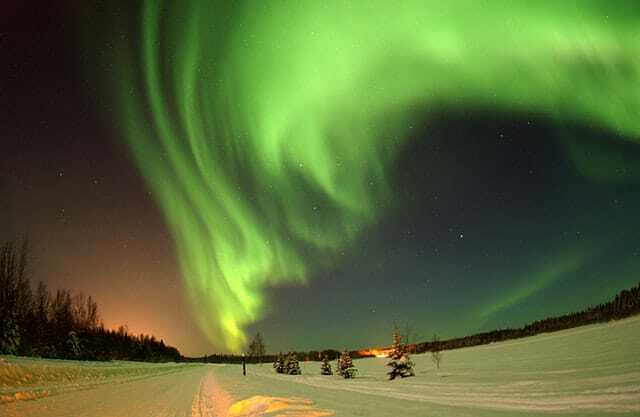 It also has very high levels of omega fatty acids and it’s one of the most nutrient-dense foods on the planet. I know you hear that all the time. Don’t eat red meat (even though many of us love it). But it’s a little rare to hear that in conjunction with allergy discussions. In fact, though, another recent study by the NIH found that those with high levels of trans oleic acid in their systems (which is largely found in red meat and dairy) were 3 times more likely to suffer from hay fever. 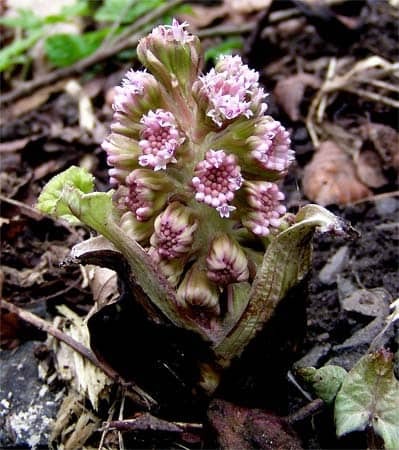 According to Professor David Rakel, MD, of the University of New Mexico School of Medicine, Butterbur capsules have the BEST track record of all herbal supplements in helping maintain and regulate a healthy pollen tolerance. WebMD claims that Butterbur may be just as effective in treating allergy symptoms as Allegra or Zyrtec. If you are looking for the 1 thing to try in learning how to cure allergies naturally, this could be it! The Reviews on WebMD also support that many are finding Butterbur effective in managing allergy symptoms. 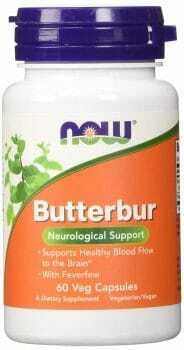 Amazon’s Choice brand of Butterbur capsules is from Now and features 4 stars and over 400 reviews. Comes with free Prime shipping too! Many of us know to change our home air filters regularly. But how many of us remember to change our car’s cabin air filter regularly? Like our home, our car’s cabin air filter cleans the air from the outside before it comes through your blowers, filtering out dust, pollen, and other pollutants. Cabin filters are usually inexpensive and easy to change by ourselves. Find your Cabin Air Filter on Amazon today! Do allergies go away on their own? The short answer is sometimes. Allergies in children will often go away on their own as they get older. Conversely, adults may sometimes suddenly become sensitive to allergens when they weren’t before. Dr. Clifford W. Bassett is an allergist based in New York City. He’s also been a featured guest on almost every major news organization in the United States. Thus, finding out how to cure allergies naturally is crucial for many of us! I also recently found an article includes over 35 plants for the home and office, along with the best plant qualities, preferred conditions, and toxicity info. Do you have a favorite indoor plant? Mine is the Rhapis palm – #14 on the list. Have you struggled with how to cure allergies naturally? In this post, we took an in-depth look into the world of allergens. We explored all the possible things people have allergic reactions to. We also looked at some solutions to help keep allergy symptoms at bay. Ultimately we presented the most effective and proven methods on how to cure allergies naturally. That way you can get the relief you need when you need it. If you like this post, please consider sharing on Facebook, because if it helped you, it just might help someone else! 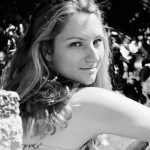 Brigitte Evans, is a Cosmetic Skin Care Consultant and a writer from Australia, with a sweet tooth for candy and everything sparkly. When she is not drooling over the next big thing in the beauty industry, she reads mystery novels and makes plans for her next trip. She is the proud aunt of Sophie, age 3, who has rounded her Chanel lipstick, but she loves her anyway. Want to write for Middle Class Dad? 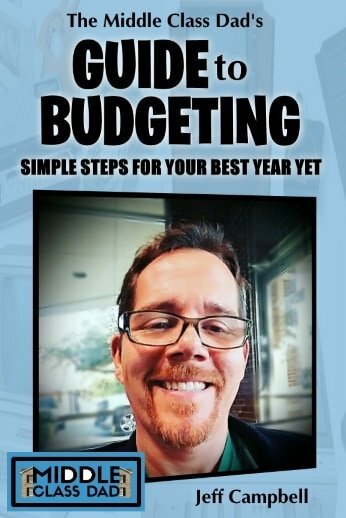 Get all the info you need here: Guest Blog for Middle Class Dad! I also have to add that while I did spend 20+ years as a leader for Whole Foods Market studying and working in the world of health and natural healing, neither Brigitte nor I are doctors, health practitioners, scientists or any other position related to health, wellness or medicine. Thus the opinions expressed here are simply our thoughts and views based on our experience and research and they should not be construed as medical advice. If you need medical advice, please consult a doctor or health practitioner.